I am an avid Facebook user. I have almost 1,000 videos and over 40,000 photos on Facebook. What I found very frustrating is that it is very difficult to find specific videos, photos and other content after it has been posted. The only way Facebook offers to do it is to scroll pages until you find what you are looking for. Facebook's search feature lets you search public information posted by others, but what if you want to search your own content that you posted in the past? I have no idea why Facebook does not let you perform a text search for your own content or content posted by your friends, but fortunately it provides a way to perform a search on the user posted content by using it's third party application programming interface (API). So I decided to write the Search For Posts application that lets you find your photos, albums, videos, notes, status posts, places and events based on the text contained within them. 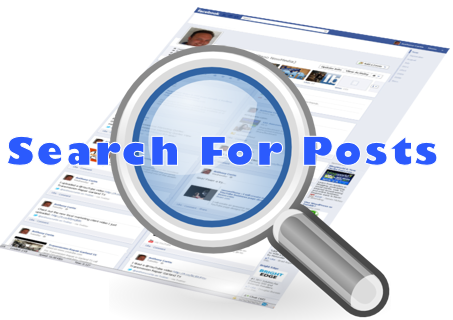 In addition to text based search, you can also search for all posts made within a specific time period!